I’ve never seen one quite like it. I mean, I’ve heard of them but to actually see one in real life is surreal. Especially in Orange County! 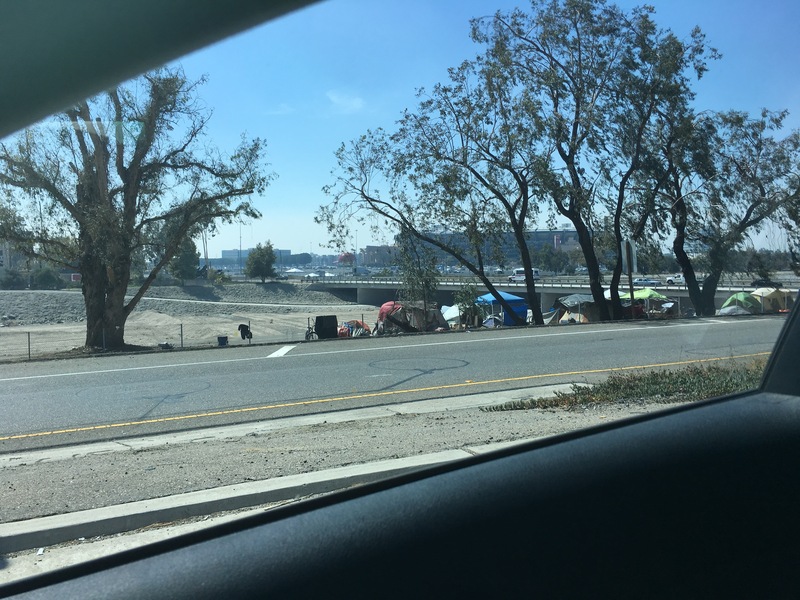 This is one of many small “tent cities” that are forming along the 57 near Anaheim Stadium. It’s kind of sad to think that so many people are struggling here in my hometown.